Licensed since 2005 and a veteran of changing economic times, Paul Gonzales understands the challenges of real estate transactions in all their complexity. 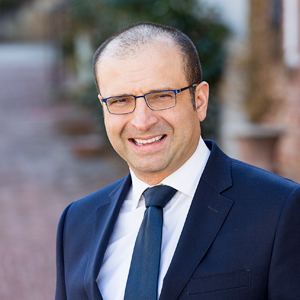 He also connects a thorough knowledge of Northern Virginia and Maryland with a deep passion for buyers and sellers. Paul spent his early years in Colombia and experienced firsthand the rigors of changing one’s home. He is ready to guide anyone making that sometimes difficult transition safely through it—in two languages. Today, with old areas increasing in value and new areas ever evolving, Paul respects the old but is happy to celebrate the new. That means helping first-time buyers find beautiful homes within their budgets, and buyers returning to the market after the volatility of recent years find solid ground. It also means helping buyers locate luxury homes that meet unique criteria. With experience at RE/MAX and in real estate development, Paul is now part of the District Partners team at Compass. He has a mastery of evolving technology, and enjoys building relationships across industries and the many sectors of real estate. Whether handling inspections, negotiating a price or handling the paperwork, he will be happy to see it done.